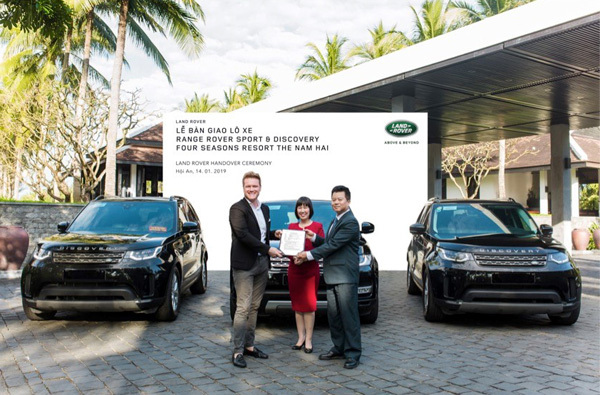 Land Rover Vietnam has provided a fleet of luxury cars to the Four Seasons Resort The Nam Hai in Hoi An. Handing over three Land Rover Discoverys and two Range Rover Sports, means the hotel will be able to offer guests luxurious transportation whenever they want it. The handover ceremony was held at the resort by Royal Auto Saigon – the authorised Jaguar Land Rover dealership in the south region of Vietnam. CONTENT - Would you like to see Pulse information on TeamTalk?